One of the most overlooked areas of a house are its windows; most people forget that they need to be regularly maintained, from simple cleaning to general inspection. Unfortunately, that kind of consistent neglect can have a big impact on their functionality. Here are a few reasons you might want to look into replacement windows for your home. They’re busted: This one is pretty self-explanatory, and odds are you were aware of the problem immediately. Broken, warped, and damaged windows let nature — in its entirety — into your home, and also leech it of any heat or cool air that’s been building up inside. Even if the issue isn’t bothering you right now, the repercussions of waiting on the replacement could be much more costly in the future. 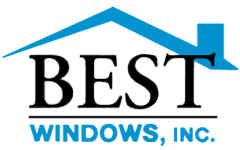 If your windows are fogging up, drafty, sticky, or refuse to stay open, it may be time to contact a few window installation companies to inquire about replacement residential windows. You want to save money on your energy bill. Heating and cooling your house is one of the pricier aspects of owning and maintaining a home, and one that is easy to forget about during the purchase. If your energy bills skyrocket every other season, it may be because your windows are simply too outdated to keep the inside inside and the outside outside. Replacement windows can significantly reduce that monthly bill, paying off the cost of the new windows and then some within due time. You’re planning on moving. 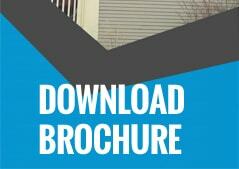 While this may seem counter-intuitive (why would you pay to fix up a house that you’re not planning on living in? ), it’s actually incredibly practical. 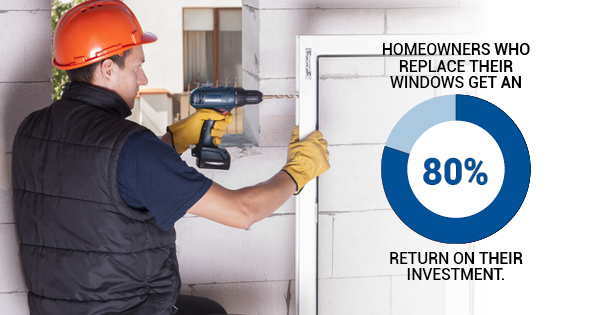 Homeowners who replace their windows get an 80% return on their investment — you can set the asking price much higher when the windows are fully upgraded and brand new, and the new owners will be happy to pay it because you’ll be helping them with their energy bills! You live in an area susceptible to severe storms. Hurricanes and other intense weather events can wreak havoc on many aspects of life, but your windows are exceptionally vulnerable in areas where they occur with relative frequency; investing in ultra-durable replacement windows may be the best choice for the long run. Take good care of your windows, and they’ll be sure to take good care of you! Previous Previous post: When Is the Best Time of Year to Replace My Home Windows?